Get Your Spring On With these Colorful Fiber Art Easter Eggs! HAND DECORATED WITH NATURAL JUTE AND SISAL TWINE! APPROXIMATELY: 5 INCHES TALL, BY 3 INCHES DEEP, BY 9 INCHES AROUND THE BASE. 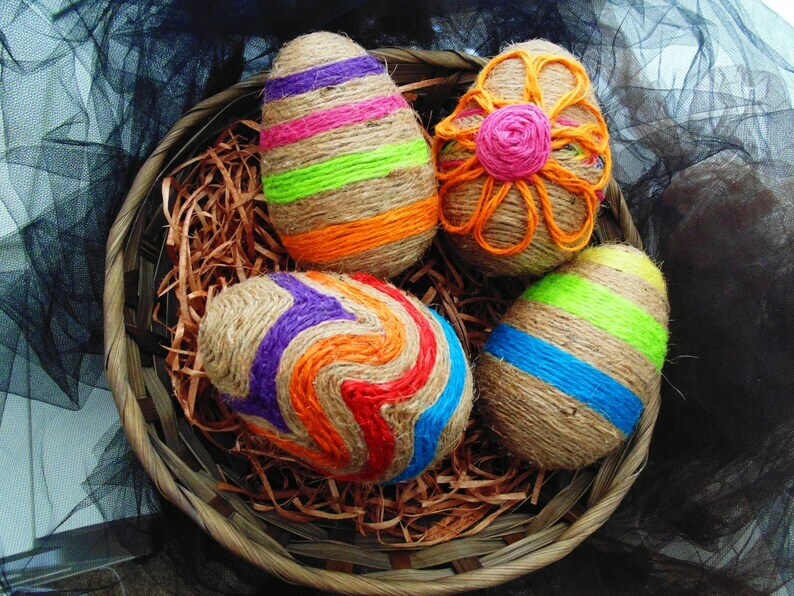 ***These eggs are large and colorful- fill a bowl or basket, add to a special arrangement for SPRING!